A minimum of 7.00 pesos fare will be effective mid of January 13, 2015 in Cebu, Central Visayas. LTFRB published a notice about the new minimum fare of 7.00 from 7.50 pesos. 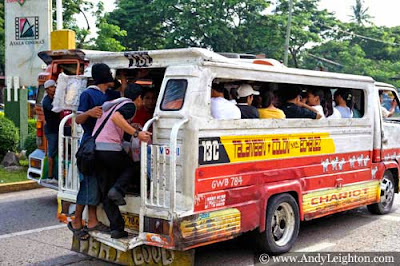 Ang pletehan sa mga jeepney o pampasaheroang sakyanan sa Cebu og Central Visayas kay 7 pesos nalang. Ang rollback sa pamasahe sa jeep magahatag og dakong tabang alang sa mga commuters apan alang sa uban, kulang pa ang .50 cents nga kaltas ikumpara sa pag-us-os sa presyo sa Gasolina. 7.00 pesos is not enough, it should be 6 Pesos since the price of the fuel is still dropping. The current price of the Gasoline is more or less 36 Pesos while the diesel is around 27 pesos. Businesswoman Teresa Chan, president of the Cebu Chamber of Commerce and Industry (CCCI), said that the minimum fare must be P6.50 -- or P6, if possible -- because the price of diesel is now P28.75 per liter and may further decrease in the next few days.